Winfrey will focus on ROK programs with Lodi, California based team. Graduating from the karting ranks to Legend Cars, veteran racer Matt Winfrey is back to compete in the grassroots of motorsports. Inking a deal to pilot a Praga Racing Chassis with Leading Edge Motorsports and IPK North America, Winfrey will be in competition this weekend as he aims for the top step of the podium at the ROK Sonoma Presented by Sanzaru this weekend in Sonoma, California. "We are stoked to have Matt back in karting and with our program," explained Greg Bell. "He brings another level of professionalism and even more experience to Leading Edge Motorsports, and should be a threat for race wins and podium results throughout the season." In his foray in Legend Cars, Winfrey claimed the 2018 Rookie of the Year honors as well as the Young Lions Championship in the Pacific Series. Scoring multiple wins and finishing on the lead lap of each and every race he entered, Winfrey also garnered a fourth place result at the 2018 Race of Champions at the Las Vegas Bullring. With his major focus on the ROK Sonoma program, Winfrey will also join Leading Edge Motorsports at other several ROK Cup USA events including the ROK the RIO in Las Vegas in November. Bell continued, "Matt is a perfect example of a driver who is returning to Leading Edge Motorsports to lean on us for our experience and knowledge. He has been out of the karting world for only a few short years, but understand the importance of having a high quality program on his side. We will provide Matt with the latest products and the best power possible to give him a shot at winning each and every time he hits the track." While the IPK North America and Leading Edge Motorsports programs continue to grow, the heart of the karting season is just around the corner. With test and race team opportunities available, Greg Bell and his established Lodi, California based company are ready to serve. For more information on Leading Edge Motorsports and opportunities to join the California based team, please contact Greg Bell at [email protected] or visit them online at www.LeadingEdgeMotorsports.com. 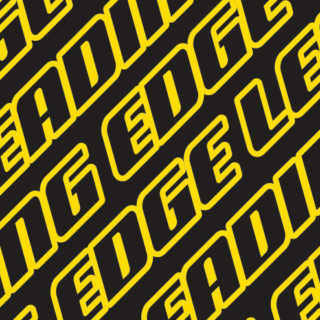 Also, please follow Leading Edge Motorsports through their social media channels on Facebook, Twitter and Instagram. Formal will fight for wins in Las Vegas. National #1 makes switch to Praga chassis. Jeremy Iglesias, Francesco Celenta and Alex Lloyd to do battle. Micro ROK is the VP "Feature Class" with the top three drivers vying for 1st in the championship. Ron White takes the VP Senior ROK Shifter "Feature Class" win. Northern California-based operation providing CRG Arrive and Drive programs for Las Vegas.